The USS George H.W. 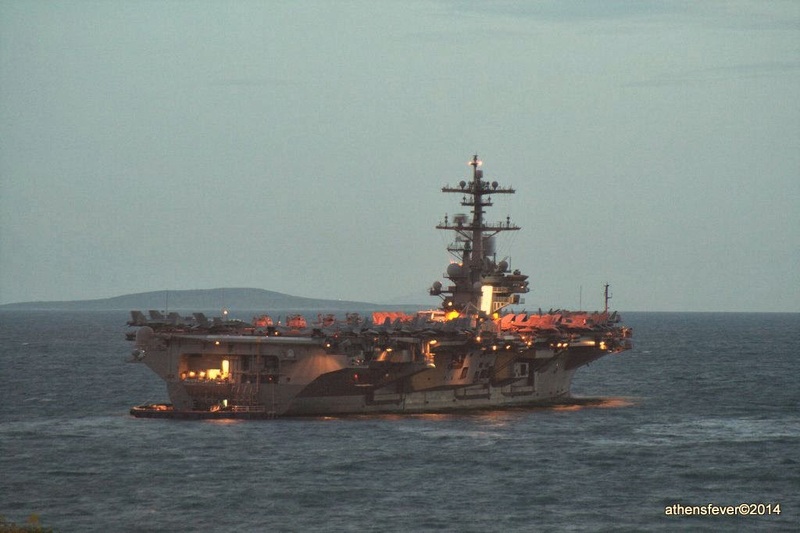 Bush (CVN 77) arrived at Piraeus on the 4th of March 2014 for a three days visit. This was the occasion for sailors to visit Piraeus and Athens center, and for some local journalists and politicians to be invited on board for a reception. The carrier anchored offshore at some distance from the small rocky island known as 'koumoundourou' (Κουμουνδούρου), which lies between 'Marnia Zeas' and 'Pasha limani'.